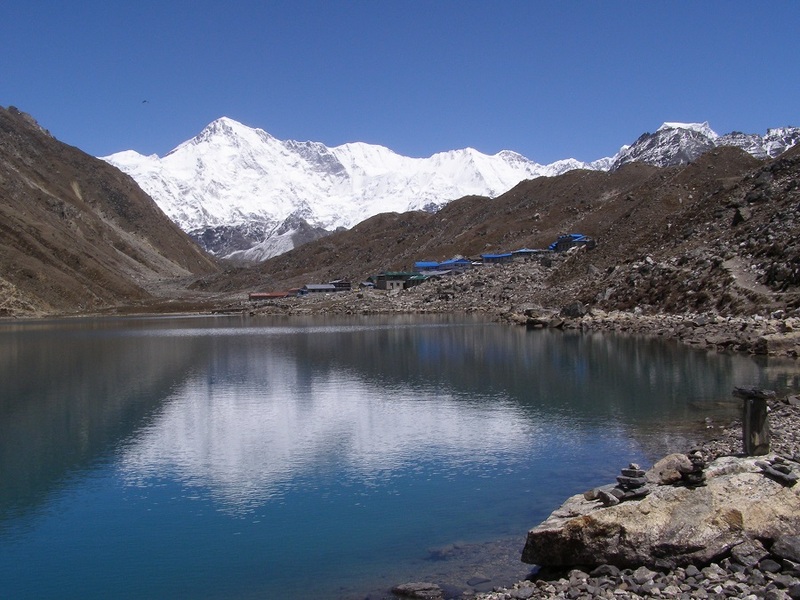 Picture of Dudh Pokhari (the third Gokyo lake) with the guest houses of Gokyo and the Cho Oyu mountain in the background. Cho Oyu on the border of Nepal and Tibet is one the highest mountains in the world. Gokyo is a tiny village of mainly guest houses at an altitude of 4,750 meters. From Gokyo you can hike up to Gokyo Ri (5.357 meters) with spectacular views of the Himalaya, the Ngozumpa glacier and Mount Everest.